What is an end swapping event? A: An end swapping event occurs when a boat enters into a turn and loses its ability to maintain steerage contact with the water and in some cases violently spins out. What types of boats are prone to an end swapping event? A: First and foremost are boats specifically designed for shallow water fishing. The majority of these boats are mostly flat-deck with little or no gunnels or railings and in general seating for two at the operating station. Does the hull design make a difference? A: "The hull can be modified ""V"" or flat; all generally will have a tunnel in the aft 1/3 of the hull. Their chines can range from hard to curved. Most are equipped with jack plates to assist in running in shallow water." What are some common names used for the style of shallow water boats prone to an end swapping event? A: Texas Flats Boats Texas Flats skiffs sled boats Tunnel Vee Boats. What loading conditions make an end swapping event more likely to occur? A: The potential for non-oscillatory dynamic instability (e.g. "swapping ends") increase when the longitudinal center of gravity was forward which can occur when one or two passengers or other weight are situated forward of the console. Does the depth of the water in which the boat is turning have an effect on the possible end swapping event? A: Yes it is well known that a boat's performance changes as you go into shallow water. Generally it runs at a lower trim angle. At the present time we don't have any test data or any design methods to actually account for this. Is there a specific speed that makes an end swapping event more likely to occur? A: Our testing has shown that an end swapping event is possible at speeds as slow as 25 miles per hour. What standard was used to test boats for an end swapping event? A: After looking at several potential protocols it was determined that the Quick Turn Test out of the ABYC's H-26 Powering of Boats standard was most appropriate. Were any of the end swapping tests conducted during rough water conditions which may cause a flats boat to flip over and capsize? A: No all tests were conducted on calm water with the wind speed below 10 mph (9 knots). Are these evaluatory efforts being directed entirely at outboard powered boats or are inboard powered boats also being evaluated? A: We only evaluated outboard powered shallow water boats. What is a boats maneuvering speed? A: A boats Maneuvering Speed is the maximum speed at which the boat is capable of completing the maneuvers required by the ABYC H-26 Powering of Boats standard. Does the quick turn test address the safe powering capacity that was previously calculated by weight? A: The quick turn test as outlined in ABYC standard H-26 is a maneuverability test. One of the issues is that some of the flats boats manufacturers have requested exemptions from the maximum horsepower requirements in the regulations and we're using the quick turn test as an alternate method to make sure that the boat can handle the horsepower they install. H-26 requires that boats that go over 30 miles per hour perform the quick turn test to determine the boats maneuvering speed. It's a method of making sure those boats can be handled appropriately with the recommended maximum horsepower. Has there been any recommendation to establish a maximum engine horsepower on shallow water boats including Texas flats boats? The boat would avoid the event since it would be incapable of reaching a hazardous speed. A: Not all shallow water boats are constructed the same so it not possible to pick a specific speed and say it is hazardous. As our testing has shown a swap end event is possible at speeds as slow as 25 miles per hour. In light of this information the Coast Guard recommends that manufacturers and importers of flats boats determine Maneuvering Speed of all boats and advise their customers accordingly. Do traditional Personal Water Craft (PWC) have a problem with end swapping? A: Earlier models of PWCs tended to have a problem with end swapping because they had a rounded hull but the later design of hulls with more of a V-shape resolved this problem. They can still end swap but normally you would have to intentionally make the PWC do that. It's my understanding that ABYC standards are merely voluntary and that roughly 80 percent of manufacturers comply with them. Knowing what has been previously seen as a potentially fatal flaw in these vessels will the Coast Guard pursue further federal requirements or are they going to leave it as a recommendation? A: The Coast Guard does not have authority to regulate boat designs but does have the authority to identify substantial risk defects. The Coast Guard is working with as many vested equities as possible to try to increase awareness to the boating public and to boating organizations and to the boating manufacturers. Will the Coast Guard grant an exemption for powering to allow larger horsepower engines if the manufacturer proves that the model boat will pass the ABYC turn test at that higher horsepower? A: Yes if the manufacturer is able to show that the boat can pass the H-26 quick turn test and be operated safety at maximum speed with the size of the horsepower engine onboard. What is the process of having your boat certified via the standard? A: Manufacturers may self-certify to the ABYC H-26 standard just as they do to the Federal regulations in 33 CFR 183. If a manufacturer is ready to have their boat tested for an exemption on safe horsepower capacity via the H-26 Powering of Boats standard who would be the point of contact for this process? A: Every manufacturer has a factory inspector that works for us in your region. The easiest thing to do is to contact the Recreational Boating Safety Product Assurance Branch at (202) 372-1077. Depending on where your manufacturing facility is located the responsible factory inspector will give you a call or may come out and discuss. What sized skegs were used during testing? A: We actually installed two different sets of skegs and they varied. There was one set that was approximately 72 inches long and 4 1/2 inches deep. The other set was a much smaller set at 18 inches long and 4 inches deep. We were looking at two different approaches. We wanted to make sure that the really long skegs would definitely work and whether smaller ones would also work. The intent is not for us to tell the manufacturer how to build their boat. It's really to give them some tools and ideas. Obviously we could not change the mold or radically change the hull design so this is one of the answers that came out which was to try these skegs. So really whatever the manufacturer chooses to do the quick turn test would provide the manufacturer a mechanism to evaluate their boat. Are any of the manufacturers acknowledging this safety issue and installing skegs to vessels already on the market to remedy the defects? A: Unfortunately we cannot speak to this. Our outreach activities to the manufacturers have included providing boating safety circulars directly to the manufacturers conducting webinars posting information on our website www.uscgboating.org and working with other boating safety partners to get the message out through their networks. Do you know of any manufacturers who intend on selling these skegs as after market? A: The Coast Guard is not currently aware of any such activity by any manufacturers. It has been proven that there are many boats that have this unpredictable end swapping and are dangerous. Why are they not being recalled? A: The Coast Guard has regulatory authority to test manufacturers' boats with respect to buoyancy fuel system electrical power ventilation and lighting. The Coast Guard does not have regulatory authority for hull design regulation. In concert with the regulatory authorities the Coast Guard has when we identify a substantial risk defect that we have regulatory authority over we unhesitatingly ask or if necessary direct the manufacturers to recall unsafe products as we note them. Have shallow water boats including Texas Style Flats boats been determined to be manifestly unsafe? A: These boats are not manifestly unsafe for the purpose of what they're designed for. These are fishing platforms designed for shallow water fishing. And if they are operated in a manner that doesn't lend themselves to the end swapping event occurring the platform is an acceptable platform. It's a safe platform for that which it was designed and intended for by the manufacturers. When there is a confluence of variables that conspire and come together however including operator input including forward velocity of this vessel and the water sea state we have identified some of these confluences of variables that can lend themselves to a swap end or hull skipping incident. Is there a warning label to let me know that my boats maneuvering speed is less than the max speed? A: If your boat is capable of a top speed of 30 or more miles per hour (26 knots) using the manufacturers rated power and is certified using ABYC standards then there will be Warning Label when the maneuvering speed is less than the max speed. If a mechanism was designed to reduce throttle when steering input exceeded a certain degree would that qualify for the quick turn test? A: From a standards perspective the test is a performance based test. How the manufacturer completes that is really up to the manufacturer to determine. This is why we use a performance-based standard because we don't want to limit innovation. The real question is can the wheel be turned 180 degrees and held for a 90 degree turn and have the boat successfully complete that turn. Has there been any research into bow structure and design in relation to end swapping or are the bows of these boats standard throughout the industry? A: The answer to the second part of that question is the bows are not standard in the industry. There are some flats boats that have very deep V bows and there are other flats boats that have a very shallow V. The research that we have suggests that when you have a deep V bow it makes a lot more side force at the bow than a shallow V. What that means is a hull with a very deep bow is more likely to be directionally unstable than a hull with a shallower bow. But there is an infinite number of different geometries that manufacturers use on the bows. Are there existing ABYC standards regarding railings and side seat restraints and such to better keep the operator and passengers from being ejected from the boats? A: ABYC does have two standards. One addresses railings and it is H-41. The other standard seat structures is H-31. Most of these types of boats are considered open boats so they're not necessarily required to have a railing structure around them but they are required to have a handhold for each designated occupant. Would it be feasible to install restraint systems like a seat belt for passengers in these types of boats? A: Currently there is not an ABYC standard for restraint systems. Although we did install a harness system on the operator to mitigate hazards during testing a safety boat was nearby in case of capsizing or other unforeseen event. The most desired situation would be that the boats wouldn't have this tendency to end swap. ABYC standards do require a designated occupant position be in place with a handhold for each occupant in the boat. Could a video be produced that a customer would be required to view and sign in acknowledgement of understanding of the condition that can lead to an end swap event? A: This is a great recommendation. The Coast Guard has no authority to mandate either the manufacturers or the retailers to comply with this recommendation. Manufacturers and retailers have a vested interest in their customers they want their customers to go out have fun be safe enjoy the water and they want them to come back safely. So that's a great idea that the manufacturers and the retailers should seriously consider as part of their marketing and product differentiation efforts. I understand that the Coast Guard currently has no authority over hull design. Are there any efforts to try and gain this type of regulatory authority? A: The Coast Guard does not have a legislative change proposal submitted at this time seeking to expand its regulatory authority to address hull design. We have minimal safety standards. The statutes that authorize the Coast Guard specifically empower the Coast Guard to provide only minimal safety standards. Can the states regulate hull design? A: The states generally do not have authorities that the Coast Guard has preemptive authority over. The Coast Guard does not have statutory authority to regulate hull design. How does the Coast Guard keep track of boat manufacturers? A: Boat manufacturers and importers are required to obtain a Manufacturer Identification Code (MIC) from the Coast Guard. The Coast Guard tracks boat manufacturers by their Manufacturer Identification Code (MIC). How does the Coast Guard inform the boating public about news and information of interest to the boating community? What specifically is the Coast Guard doing to ensure that manufacturers and importers receive Boating Safety Circulars? Where can we send the public to buy and install skegs if they want to minimize this type of hazard while operating at higher speeds? A: The Coast Guard recommends that you contact the manufacturer or local dealer of the boat or seek the advice of a marine surveyor prior to making any modifications to your boat. The manufacturer is best able to provide guidance on if and how modifications to your hull should be completed. Has the issue of end swapping already been the subject of a Boating Safety Circular article? A: have been two articles on this issue. You can go to our www.uscgboating.org website and you will see the October of 2014 Boating Safety Circular issue number 88. And we just loaded up on our website in April Boating Safety Circular issue number 89. 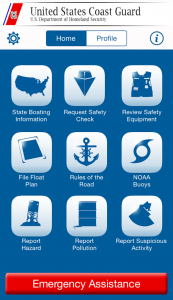 These are the feature articles on both issues of the Boating Safety Circular. How many deaths can be attributed to an end swapping event? A: There have been three fatalities over the five year period from 2010 through 2014 that can be attributed to an end swapping event. There were 3 800 fatalities in total over the same time period.